VINTAGE SWING PROJECT IS A NYC BASED VINTAGE JAZZ POP BAND THAT COVERS ALL STYLES AND GENRES OF MUSIC. THE BAND MEMBERS HAVE TOURED THE COUNTRY PLAYING THIS FUN LOVING STYLE OF MUSIC. 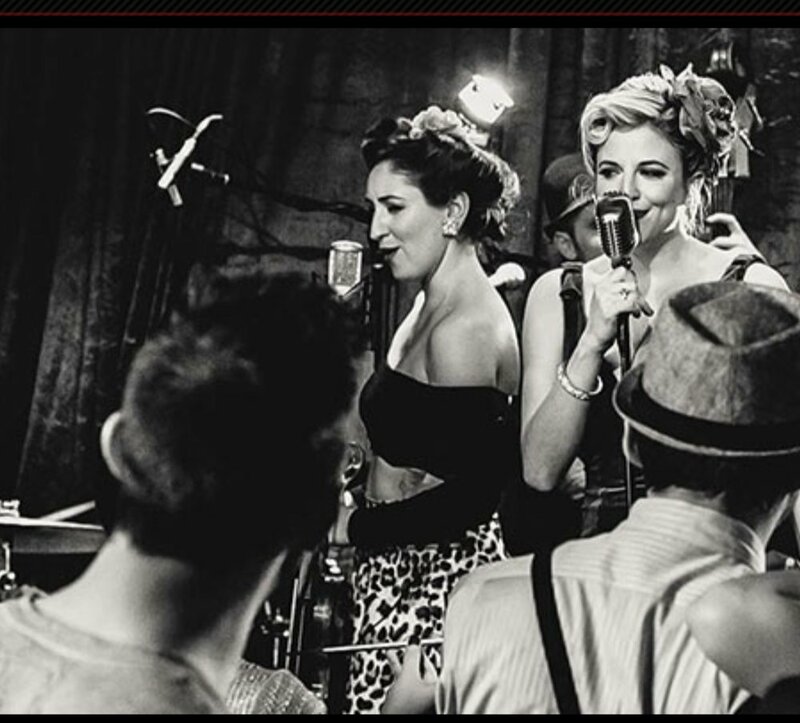 LEAD BY, THE BLOND BOMBSHELL, THE VINTAGE SWING PROJECT IS SURE TO GET YOUR GUESTS ROCKING. THE VINTAGE SWING PROJECT COVERS MANY SONGS RANGING FROM THE CLASSICS TO CURRENT MUSIC, ADDING A SWING TWIST AND THE BANDS ON CHARISMATIC STYLE. THIS PROJECT IS PERFECT FOR A LIVELY COCKTAIL AND EVEN GRADUALLY TRANSITIONING INTO DINNER WHERE THE BAND IS ABLE TO SLOW DOWN THE TUNES AND SING LOVELY BALLADS WHILE YOUR GUESTS ARE DINNING.